Potatoes are a staple that many dishes just don’t feel complete without. 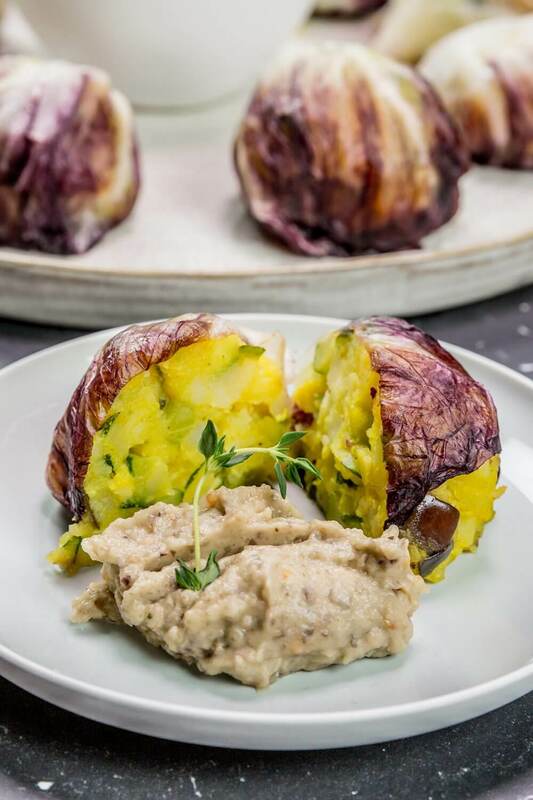 Whether you prefer boiled, roasted, baked, chipped, spiralled or fried, the possibilities of how you can cook them are nearly endless. Despite this, nearly half end up in the bin. The first task in making sure your produce makes it to the plate is to store it properly. Potatoes should always be kept in the dark, cool place, as exposure to light causes sprouting. 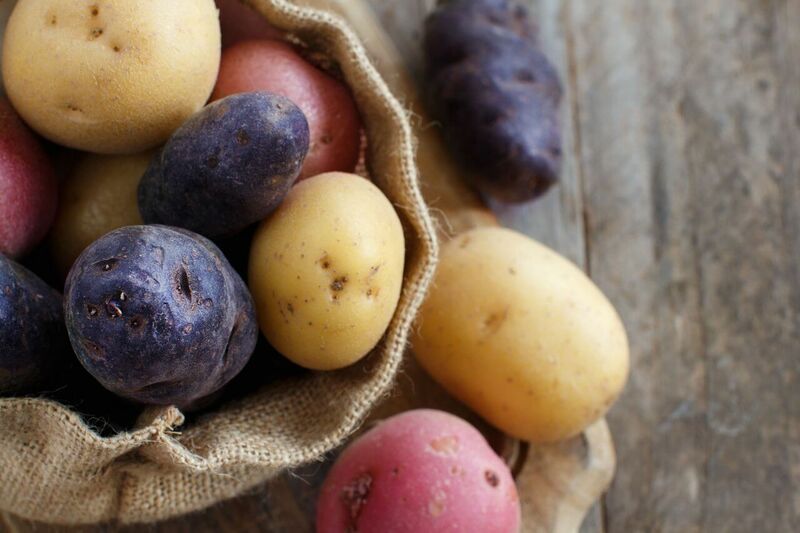 Try not to keep them in the fridge, as cold temperatures can affect the starches, turning them into sugars and changing the flavour. If your potatoes came in a plastic bag, it’s best to take them out: these bags trap moisture and cause moulding. You can also try storing with essential oils of clove, spearmint or peppermint: research shows they can slow sprouting, all while making your kitchen smell dreamy. If your potatoes have already sprouted, don’t throw them out! A potato is only inedible once it goes green, as this suggests it’s high in a natural toxin called solanine, which can upset stomachs. Sprouting potatoes still good to eat (once any sprouting is removed) and in some recipes, such as a crispy, creamy pie topping, they can be even better than fresh spuds. These softer potatoes are also great for light, fluffy hash browns. Grate four parts potato to one-part red onion and use a clean kitchen towel or cheesecloth to strain out as much of the liquid as possible. Then mix in a beaten egg, and some salt and pepper. Stir well and shape into patties before frying on a medium/high pan. 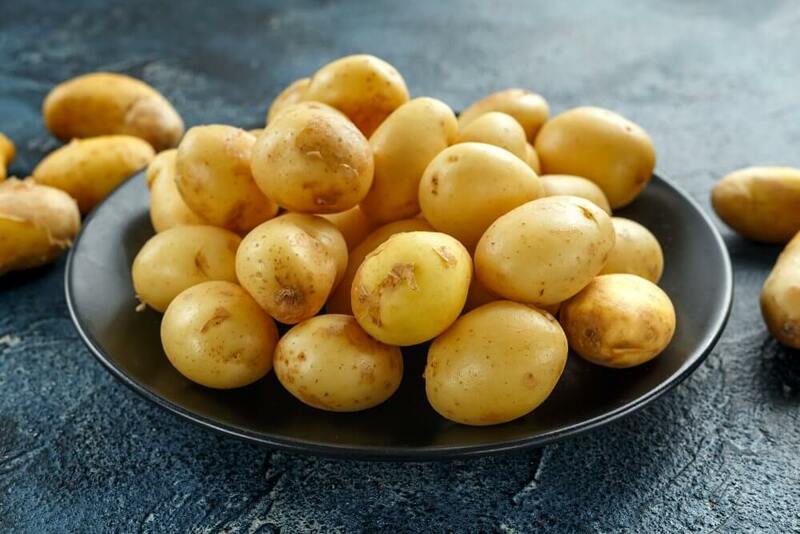 Cooked potatoes are amazing in so many dishes, so if you’ve boiled too many spuds or cooked more chips than you can eat, hang on to them and replace raw potatoes with your leftovers. 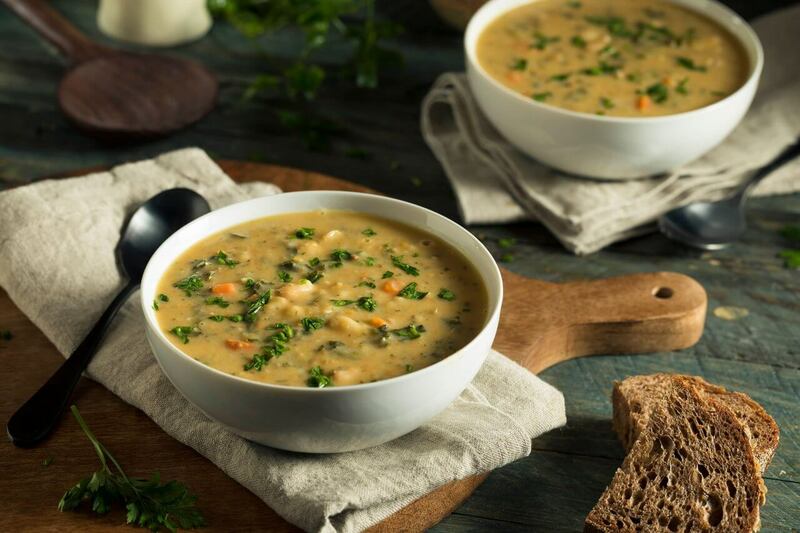 It works a treat in these dumplings, veggie balls or veggie burgers and even in soups! Just remember to add them later in the cooking process. One of the tastiest things you can do with leftover potatoes is mash them up with some flour, an egg, and anything else you like (cheese, vegetables, bits of crispy bacon). Make patties out of the mixture, and then fry them on a medium-high heat for a bunch side that will go down a treat. It’s hard to mess this up, and you can easily freeze the patties for a quick, easy dish. You could also try making a British classic: Bubble and Squeak. Just mash any leftover potatoes together (ideally with a little winter veg such as cabbage) and fry. Keep tossing them around the pan, so you get lots of golden crispy bits, and serve with a runny egg. The best thing about this dish is you can add pretty much everything and anything to it. Combined with leftover turkey, brussel sprouts and cranberry sauce, it makes a great Boxing day breakfast. If your potatoes have got some pretty impressive sprouts on them, remember that you can always plant these and grow even more potatoes! The sprouts indicate that the potato is converting its starches into sugars and other nutrients needed to grow! Try potting the sprouts in doubled up paper lunch bags, before putting out in the garden. Getting your children to join in will make this into a fun, family activity that teaches them about the potato-shaped circle of life.